The FA122 is a kit designed specifically to go into the glovebox of your vehicle. 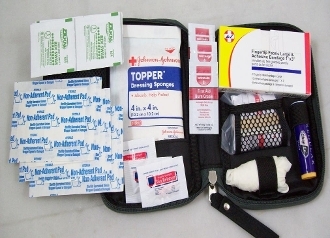 The kit contains the items necessary to care for minor injuries while on the road. The FA122 measures 6.5"x4.5"x1.3". The kit comes shrink wrapped with content list.